For years the church lamented that they had little budget to advertise in newspapers, on the radio, or on primetime TV. We instead turned to word of mouth as our best promotional tool. Then social media came along. It has free tools PLUS it empowers word of mouth promotion. That’s a win/win for the church! 1. Discover your Thread (voice and visual). Know the benefit, solution, or path to goals that will attract people to your page or feed (and engage them). Keep your thread’s voice and visual brand consistent throughout all your posts. If someone can’t identify the connection between your posts, they’ll not recognize your importance. 3. Know how to entertain. Social media is like a TV network. It’s more about content that entertains and educates than the commercials. Stop developing only promotional content and think about 80% entertainment/education. Have them engage with your unifying thread as you do it. Followers will accept your promotion easier when it comes occasionally. 4. Think about the lifespan of your post. This is key. Every social media network allows posts to stream on their walls. 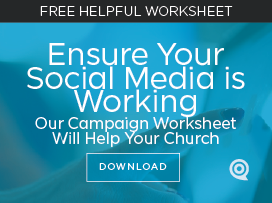 The question is “how long before your post gets lost in the stream?” Certain networks (i.e. Twitter and Instagram) have so much content that you only have a few minutes before most will miss your older post. Therefore, you can post several times/day on those networks. Facebook has several hours before you’ve lost most engagement with your post, so you should only post about 2 times/day. Set a rhythm and a regular time for your schedule and evaluate it. If you’re not doing something consistently, you’ll never be able to track the success or failure. 5. 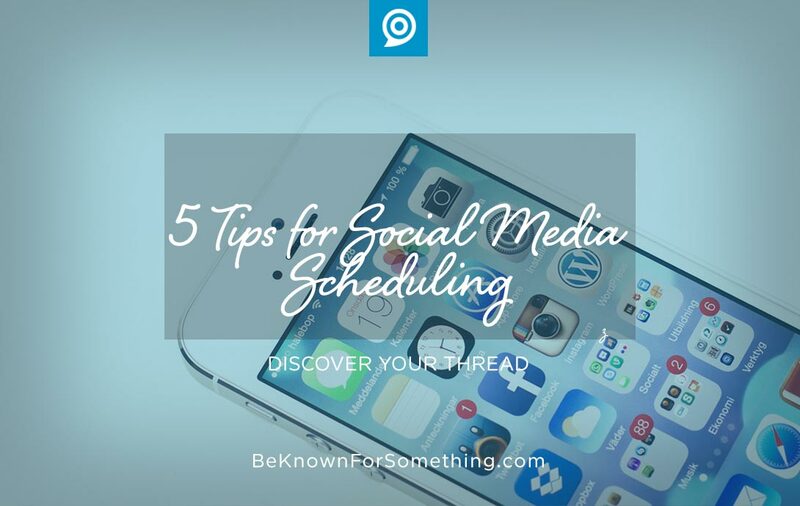 Use a tool to schedule the posts at the right times. When do you want your posts to appear? Think about your followers (and potential communication personas) and post when most of them have free time (i.e. evenings, lunch time, first thing in the morning, etc.) Use automation programs like Hootsuite or Buffer to establish your schedule and deliver the posts. I’d recommend scheduling once a week for the entire week but allow for “free” times during the day for post ideas that pop into your mind because of a current event. It’ll keep your posting fresh and relevant. Social media is constantly changing, so you need to as well. Watch your analytics to see how you’re doing with engagement and followers. Change one thing occasionally to see if you’ll improve. Don’t settle for a certain schedule without trying different times and discovering what’s best for you. Your followers are unique! Trial and error needs to be your mantra.